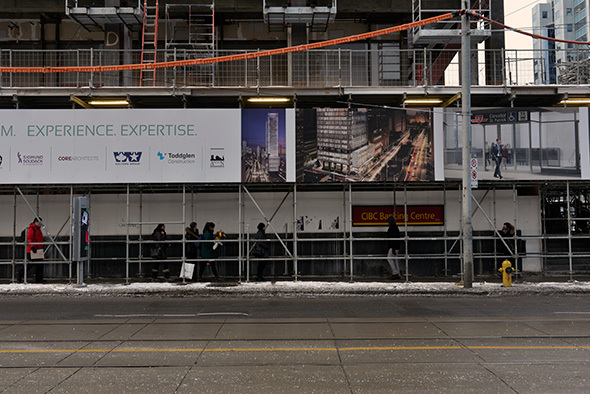 Toronto is more than accustomed to new condos - and the demolition of old buildings that often accompanies their construction. So much so that it almost seems odd when an existing structure is repurposed as part of a new residential development. Sure, this happens on occasion with heritage buildings, but what's going on right now at 488 University is quite unique. 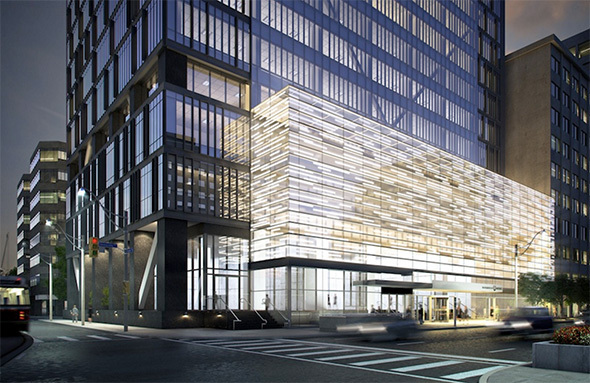 An office tower built in 1968 is being renovated to accommodate the addition of a 37-storey condo. 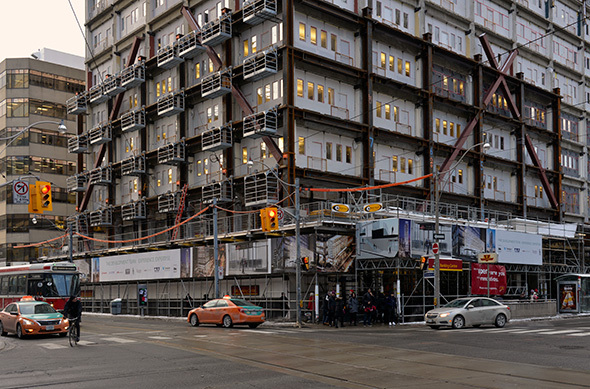 Usually we knock down modernist buildings, but at University and Dundas there's a major construction job underway to outfit the Mad Men-era building with new structural support for the huge skyward extension that's on the way. That means the removal of its concrete facade to install huge steel supports for the condo to come. When it's all said and done, the existing building will be clad in glass and almost completely unrecognizable. Few will mourn the loss of the existing building's facade, but I'll note that it was rather elegant in its minimalism. In any case, this particular moment in the construction process is quite fascinating. Walking by the intersection, you'll see the skeleton of the building exposed as the new supports are added. 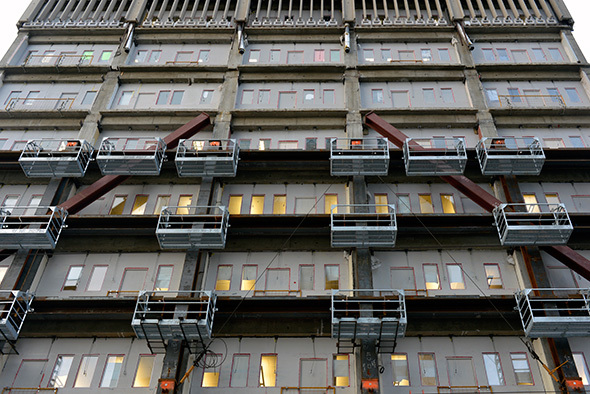 Given the glass exterior to come, these supports will remain exposed when the development is completed. I like that. The concrete might have to go, but the building will subtly gesture to its history even as it poses as an entirely new addition to the urban fabric. Kudos to Core Architects and structural engineers Sigmund Soudack & Associates for doing something novel that'll enrich Toronto's cityscape without completely ignoring the past. What do you think of the design? Let us know in the comments.